Our Museum @ Taman Jurong has been free since its opening, not just for certain hours of the day, and not just for senior citizens. When was the last time you made a journey to the West side of Singapore? 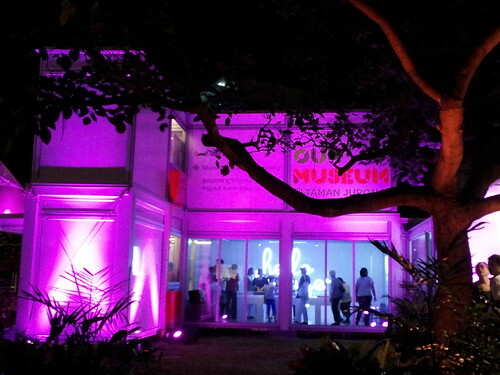 Our Museum @ Taman Jurong, within the premises of Taman Jurong Community Club is Singapore’s first community museum. Part of it can travel, so you may have to find a new set of excuses why you do not go to museums when a museum can come to you, and you can enter it for free. The first hawker centre (as they were called then, because of their purpose) in Singapore was in Jurong. So that makes Jurong important to many food-loving people in Singapore. 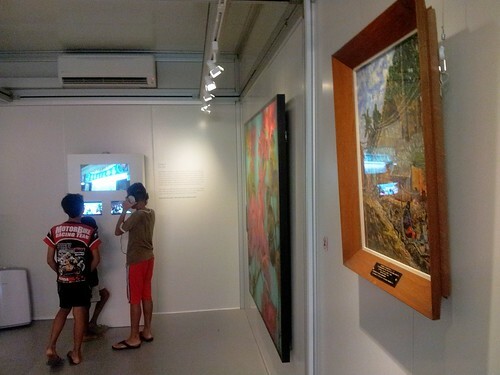 At Our Museum @ Taman Jurong, you get to see art works acquired many years ago by the Singapore Art Museum. The artists range from the early generations to the contemporary. The Sun in the Studio by Lin Hsin Hsin. Even after more than 20 years, the paper and paint still look fresh. 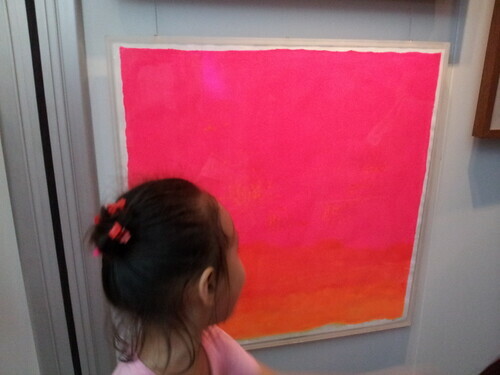 According to the artist herself, The Sun in the Studio is 1 of 24 art works of a series of the same name with an accompanying poem. They portray the 24-hour impressions of the planet Sun as seen from her studio. The Sun in the Studio series is a sub-series of a larger series of 123 works, Time Series. You might just see your neighbour’s children guiding visitors at Our Museum @ Taman Jurong. Please remember to respect the art works. They are meant to be kept for many years to come. View our Our [email protected] Jurong Opening album.